Custom long sleeve polo shirts make a delightful promotional gift idea that will surely keep your customers happy ever after! 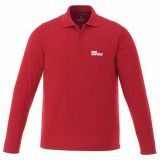 Imprint your business name or logo on these sprightly polo shirts and let your brand get noticed by everyone. Great for a golf game with clients or for a casual weekend, custom polo shirts are great options to promote your business in style. You can choose from a wide range of colors and price ranges at ProImprint to accommodate all budget sizes and an instant make over for your brand image. Custom long sleeve polo shirts make great giveaways for promoting sports goods, social causes and spreading messages among the young and young at heart alike. The attractive sticker price would give the marketers the luxury of giving away these gifts in outdoor events with a high turnout. Just get your brand logo imprinted on these stylish custom polo shirts to draw public attention and let your brand promotion become a huge success. 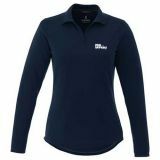 Long sleeve custom polo shirts make perfect promotional gifts during winter promotional campaigns as these keep them warm from the chilly weather. Leave your brand logo imprinted on these single solid colored polo shirts to give your competitors a run for their money! Let these smart apparels speak out your business story every time someone wears it for a party, a game or an office function to pack a punch to your brand promotion! No matter whether you plan to give these trendy apparels on the trade show floor or as employee gifts in the office, these classic shirts will make excellent brand ambassadors of your business. Offered for both men and women, these custom polo shirts are available in a wide variety of fabrics, knits, colors and styles such as mock-turtlenecks, button-downs and other classic and trendy designs that will go down well with your customer’s choices. 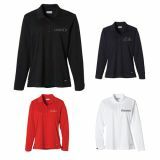 Custom polo shirts make wonderful promo ideas year-round especially during sports events. These value added gifts will make your customers know that your brand cares about their style and comfort. 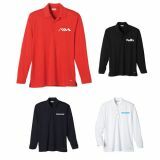 If you are on a budget, you will surely find an answer to your branding needs in these promotional polo shirts. Custom polo shirts infuse a casual charm to your business promotion and can make wonderful giveaways for tradeshows, client meetings or even golf outings. 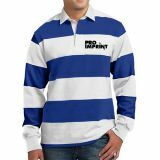 At ProImprint, there is a wide range of styles and colors of polo shirts offered to match your diverse needs and budget. 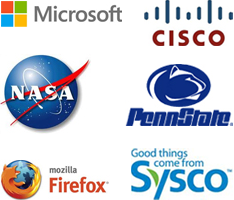 If you think your selection process is taking longer than expected, our product experts will be there to help you choose the best product that will appease your customers and fulfills your branding needs. Just give us a call at 844-776-4677 or drop an email at info@proimprint.com for any queries or orders.